A King downpipe is the simplest type of liquid level sensor, often referred to as a “bubbler." This is merely a length of open ended pipe that extends downward into the tank. LiquiSeal™ or Purge Control differential pressure air flow regulators are highly refined versions of the basic bubbler air control. When purged with compressed air, liquid within the downpipe is displaced by air pressure equal to the hydrostatic force of liquid in the tank. If carefully regulated at a low rate of flow, air pressure will constantly maintain equilibrium against the force of the liquid. Air escapes out through the bottom of the pipe unless needed to increase pressure as liquid force (depth) increases. The primary sensor element is typically 3/4 in. diameter pipe purchased from a local source. Always select piping material for compatibility with the tank contents. Downpipe purge systems can be used to measure virtually any type of liquid product including resins, asphalt or corrosive materials. Output is proportional to liquid depth and can be transmitted as an electronic 4-20 mA signal or pneumatically as a direct 1:1 pressure signal. 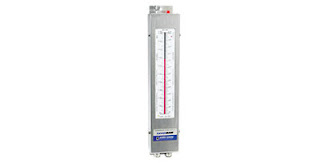 LiquiSeal D/P purge control is a fully integrated air purge regulator and level transmitter. Operation is based on the control regulating a continuous 1 cfh (cubic foot per hour) flow of compressed air into the tank downpipe. An internal differential pressure sensor element converts resulting pressure into a 4-20 mA dc two wire signal. 788 D/P Purge Control is a more basic differential pressure regulator and air flow control. It generates a constant flow of compressed air to purge a downpipe. 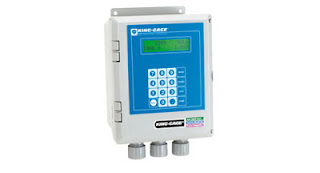 Its integral differential pressure transmitter provides 4-20 mAdc output proportional to liquid level. 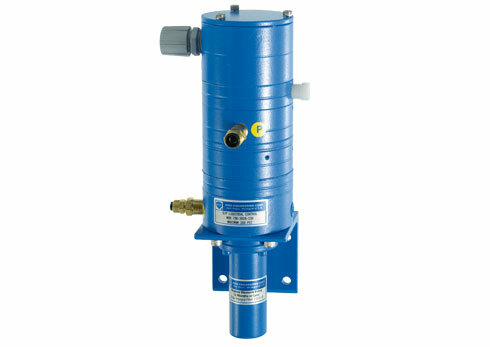 780 Purge Control is an all-pneumatic version that does not include the integral transmitter. 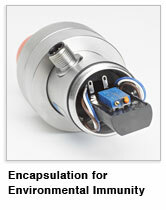 It provides a 1:1 pressure signal to a compatible indicator or external transducer through 1/4 in. airline tubing. The purge control holds a fixed pressure differential across a precision orifice to ensure constant flow rate of 1 cfh (cubic foot per hour). This regulated low flow rate makes it possible to maintain a linear 1:1 response of the sensing system. In this way, back pressure sensed is equivalent to the hydrostatic head pressure due to actual liquid depth. Purge Control or LiquiSeal Control provides air pressure signal to an external transmitter or compatible indicator (with integral transducer). Typically, 1/4” poly or soft copper tubing is used to convey the pressure signal up to 1000 feet from the tank. D/P Purge Control or D/P LiquiSeal transmitter provides a 4-20 mA output over a two wire cable to an indicator or the analog I/O of a PLC. Using twisted pair shielded cabling permits transmission distances of several thousand feet to a remote receiver. Transmitter turndown ratio is 3:1 for the 0–15, 0–30, 0–50 psid nominal ranges. IMPORTANT! Accuracy, linearity, and non-repeatability values are based on nominal range. or visit our contact page on the web site. Flush-mounting configurations are intended to meet the 3-A Sanitary Standards for clean-in-place applications. The ES2 transmitter fits directly into KING-GAGE tank shells or with an adapter on other manufacturers' mounting shells. The KING-GAGE ES2 transmitter offers a choice of configurations to match your application needs. The integral stainless steel housing shown here includes a watertight connector for signal cable installation. Mounting lengths offered are intended to mate with tank fittings on non-insulated (singlewall) or insulated wall tanks. Adapters provide additional mounting options when retrofitting systems from other manufacturers. 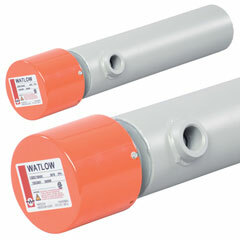 Flow Factor provides in pipe heaters for heating liquids and gases. Inline pipe heaters are also known as circulation heaters, tankless heaters, in-line heaters or instantaneous heaters. Industrial circulation heaters are packaged units consisting of a screwplug or flanged immersion heater mounted in a thermally insulated heating chamber for efficient heating of a flowing medium by in-line (tankless) or side-arm operation. 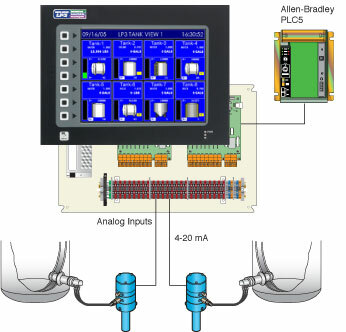 Thermocouple sensors can be provided to connect to most any controller. Select from many terminal enclosures, sheath and vessel materials, flanged connections, and controls. Many models in stock. Made from NPT screw plug or ANSI flange heater assemblies mated with a pressure vessel (tank), circulation heaters are designed to heat forced-circulation air, gases or liquids. Ideal for either in-line or side-arm operations, these assemblies direct fluids past FIREBAR® or WATROD™ heating elements, to deliver fast response and even heat distribution. Applications include: Water Heating, Freeze Protection, Heat Transfer Oil Heating, Fuel Oil Heating, Stea, Air, and Gas Heating and others. Clean Water Heaters are ideal for heating municipal water for industrial washing and rinsing processes. Other applications include indirect heating of viscous liquids and temperature maintenance of storage tanks. Light and Medium Weight Oil Heaters are ideal for temperature maintenance and for improving flow characteristics of oils. Heavy or Fuel Oil Heaters will reduce the viscosity, thereby improving flow and process efficiency. Industrial circulation heaters provide a cost effective means for heating air and common industrial gases such as Argon, Helium and Nitrogen. They can also be used to increase the enthalpy and quality of steam. Watlow routinely supplies circulation heaters from 120 to 600VAC (WATROD to 600VAC) as well as wattages from 500 watts to three megawatts. If required, Watlow will configure circulation heaters with voltages and wattages outside these parameters. To protect circulation heaters from weather or wash-down conditions, fully welded (weatherproof) or partially welded (standard) outer protective steel jackets are available. Standard steel, or made-to-order 304 or 316 stainless steel can be supplied. Jacket diameter is dependent upon thermal insulation thickness. Stand-off terminal enclosures help protect terminal enclosures against excessive temperatures. Flange or screw plug assemblies can be provided with an ASME Section VIII or Section I, Div. I pressure vessel stamp upon request. Branch circuits are designed for 48 amperes per circuit maximum. Contact a Watlow representative for circuit requirements other than those listed in the stock charts. CSA, ATEX or IEC Ex certified moisture and/or explosion resistant terminal enclosures protect wiring in hazardous gas environments. These terminal enclosures, covered under CSA file number 61707, ATEX certificate # KEMA 07ATEX0172X or IEC Ex certificate # IEC Ex CSA 09.0010 are available on WATROD flange heaters.